"e;But don't say that word. "e;"e;What word? "e;"e;The word that starts with B. "e;Alejandra and Marcela are planting bombs in the middleof the night. They don't want violence. They just want to be heard. Prison's not much of a threat when most of your friends are inside. But Jos Miguel is from another generation, and he's committed to change by any means possible. 'We used to … kill kings. We use to kill millionaires. And now all we do is make threats on the Internet. That's why I'm offering you the chance to start a war. 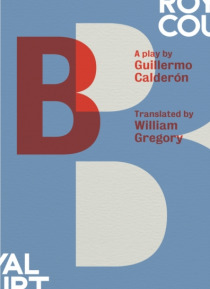 'Acclaimed Chilean playwright Guillermo Caldern makeshis Royal Court debut with the world premiere of his playB, exploring what revolution and violence mean to twodifferent generations.B was first developed on an attachment with the Royal Court International Department, and premiered at the Royal Court Theatre on 28 September 2017, in a production directed by Sam Pritchard.